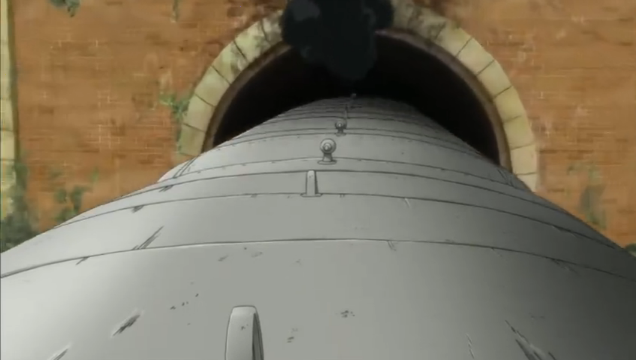 This week included a very nice animation of a train. 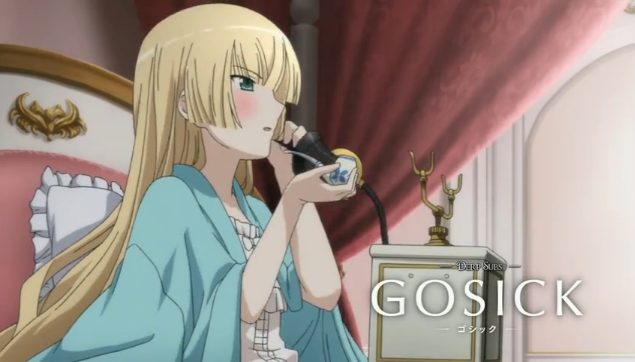 Gosick episode 10 made for a very satisfying end to the arc. In addition to the resolution of the mystery of the Blue Rose, hints were dropped about all sorts of back stories. Kujo gets his chance to shine. As discussed last week, the central conceits underpinning this series, split the two protagonists apart. This gave each character a chance to demonstrate their strengths. Kujo does the leg work; he puts together a mass of information (clues). His not too bright, but large-hearted character is well established, so it was sadly believable when he didn’t catch the significance of the Magician’s name. I guess a short action scene is included at the end of every arc, and surprisingly Greville turns out to be useful in a fight. Victorica, putting together the fragments of chaos. Victorica was still sick in bed, but that barely hindered her ability to solve mysteries. In truth, I’m not sure if the trick at the end was based in science or not. It had something to do with ether making something glow? Whatever, it looked cool, and they caught the bad guys. Grevil came off better than he has before — until the very end, when we saw memories of him taunting Victorique during her captivity. For that, his bones really must be ground to powder, while still in him. Interesting. I didn’t think that was Greville; I assumed it was someone else at the court. Now I’ll have to watch it again. If you listen carefully, he says something like “This hair style is nothing. If you wanted to drive me to despair you should’ve chosen something else…” And earlier in the ep he hinted the “do” was a price he’d paid for Victorique’s help a previous time. Aah! I didn’t understand what he said about his hair. The translation I watched didn’t say anything about his hair during the dungeon scene. It just says, “Did you want me to get desperate?” without mentioning hair at all. 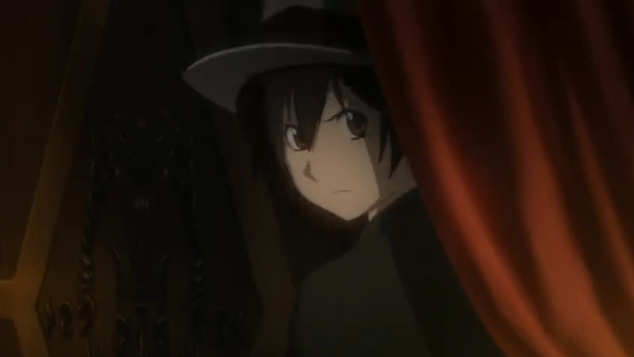 Also the voice sounds different, but the shadowy figure in the doorway definitely looks like it could be Greville. I watched it on Crunchyroll, and the actual line is “This hairstyle is nothing.” But you’re right, it didn’t sound like Grevil. I wonder if there’s some misdirection going on. Could be. This is about the time to set something big up for the end of the series (unless they are going for 24 episodes).